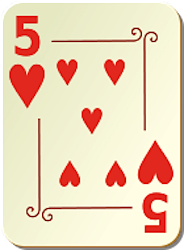 I’m planning on making “5 on 5” a regular feature for the 5th of each month; sometimes it will feature beauty products, sometimes other things. My list of beauty basics seems like a good place to begin. These are all items that I’ve purchased and repurchased over the past few years; they never let me down. 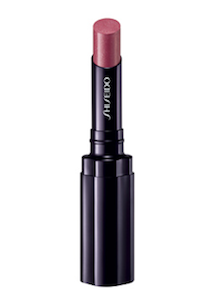 Shiseido Shimmer Rouge Lipstick in RS310 (Brocade): I love everything about this lipstick: its medium-rose shade (neither too “cool” nor too “warm”), its delicate shimmer, its sleek, deep-plum packaging, and the fact that it wears well through a cup of coffee or a snack. 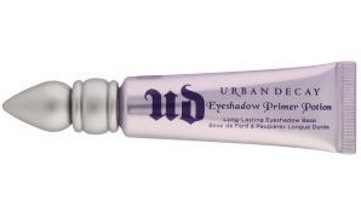 Urban Decay Eyeshadow Primer Potion: Like many, many other readers of Makeup Alley, I learned years ago that this base product will enhance and prolong any eye shadow. I wear it every single day that I wear makeup (which is pretty much, well, every single day). And now Primer Potion is packaged in a squeeze tube rather than its previous rigid tube with wand applicator, nothing goes to waste, making it just about perfect. 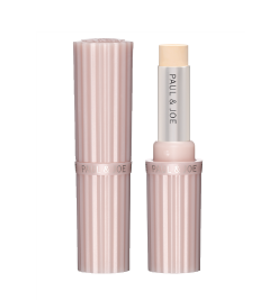 Paul & Joe Beauté Stick Concealer: Yes, Paul & Joe is always coming out with new limited-edition color cosmetics in charming packaging, but this concealer is my favorite stand-by from the line. We all have flaws, and this is my personal remedy. It provides creamy but enduring camouflage for undereye circles and other problem spots. (I wear shade #2). Sue Devitt Eye Intensifier Pencil in Gold Reef: I only use pencil liners on my eyes, and this bronzy brown is my choice for everyday wear. It looks alarmingly chunky, but if it’s kept sharpened it applies a smooth line of long-lasting color. The built-in smudger is a nice extra. Caron Poudre Libre: I love Caron’s fragrances, but I’m also a devoted user of this classically Parisian loose face powder. It’s finely milled and rose-scented, and one gold-finish canister lasts for months. My shade is Translucide; there’s a wide range of tints, especially for paler skintones. I haven’t included any skincare products…perhaps that will be the subject of another post! Disclaimer: I’ve purchased all these products for myself, more than once. Paul & Joe is available at Bergdorf Goodman, and the best place to shop for Caron in NYC is the Phyto/Caron boutique at Lexington Avenue and 58th Street. Oh, after reading your thoughts on the Caron powder, I think I might have to put this on my wishlist! I did a bit of Googling, and it looks like, here in the U.S., Caron is only available at the NYC boutique. I currently use Chanel’s Poudre Universal in #1. It can be just a teeny bit yellow on me. I read on another blog that the Caron has a bit of gold in it. Is this your experience? I cannot find even a list of the Caron colors. Am I blind? Hello, Daisy! It really is a lovely powder, and one canister lasts for *months*. New London Pharmacy in NYC is now carrying it, and might sell it online… and Susan is right, some stores that carry the fragrances also carry the powders. Unfortunately, the Caron website leaves a lot to be desired, in terms of information and navigation… a shame. I love that eyeshadow primer! It’s one of my staples too. My others are Burberry Heather Rose lip cover (a warm rose), Nars Penny Lane cream blush (a beige pink with a dewy finish), Chanel Vitalumiere cream foundation and transparent compact powder, and Guerlain Les Cuirs eyeshadow palette (the perfect eyeryday browns and tans for my hazel eyes). E, I never even knew such thing as eyeshadow primer existed before I started lurking on MUA. It really makes wearing eyeshadow worthwhile! You know, I still need to look at the Burberry line… where are you browsing it? And I try to ignore the Guerlain palettes… they are *all* beautiful! I recently stumbled upon the Burberry line at Saks. I am not a big fan of the Burberry brand as a whole, but I must say that the makeup is lovely. I am temped to go back for the gloss! Ah, Saks! I usually avoid that place… too crowded, too pushy. But I’ll make an exception, since I’m really curious about Burberry. So many good reviews! I love Shiseido’s lip products. I don’t think I’ve ever tried RS310, I’ll have to. Susan, they really do put out good quality lip colors, don’t they? I’m also a fan of the new(ish) cream eye shadows. I am so pleased to have found your blog! I studied art history as a minor in to my history major so a blog where art, history, perfume and makeup collide?? Perfect!! Hmmm, my first comment disappeared into the ether. Anyway, I am so pleased to have discovered your blog! I studied art history as a minor to my history major so a blog with art history, cosmetics and perfume is just perfect! I look forward to more great posts. And I look forward to seeing you here often, FWitch! (Sorry, my settings hold everyone’s first comment for “approval,” just to weed out spam-bots!) Do visit often! Oh, you lucky cool-neutral people who can wear shades that are neither too cool nor too warm! :) Seriously, that is a lovely lipstick, and I will have to seek it out in a shade that is “too cool” (for most people but not for corpse-like me). Hello, N! It’s a delicate balance, right? I’m technically “cool,” but if I wear colors that are *too* cool, I end up looking tired and pale… so I need to veer just a bit closer to the “neutral” center. Anyway, the formulation of those Shiseido lippies really is nice, and they’re not as shimmery as they sound! Perfect… you can reward yourself after your next dental cleaning!! I don’t think this is the same Caron powder, but QVC has a number of Caron fragrances and a powder product called: CARON Pompon Poudre in three shades. Very little explanation as to what this is! I would love to know. It is described as mineral, and applied with a Pom Pom? $38. Judith, I’ve never heard of that one! Interesting. Must check it out. What a lovely feature, and I’m so glad you are sharing your secrets with us in this way. It was lovely to meet you! All the best things in life, art, books, makeup, perfume, in one place, there’s almost nothing more to ask for (there’s always something more to ask for right?) Violet cocktails…. Lucy! It’s always wonderful to meet a “kindred spirit” where these things are concerned. I wish I’d taken a photo of my violet cocktail!